Swiss artist Paul Klee stated that drawing is taking a line for a walk. Drawing is still alive and well as an essential discipline in the arts arena, whether drawing for the very act of drawing itself, sketching en plein air as preparation for painting or printmaking, or drawing plans for a Marquette for a 3D construction. The practice teaches us to look in order to see, to see in order to understand, and to then interpret this experience perhaps as a platform on which to build our observations. Drawing for the sake of drawing may be difficult, requiring close observation, or quick, spontaneous responses to particular elements. 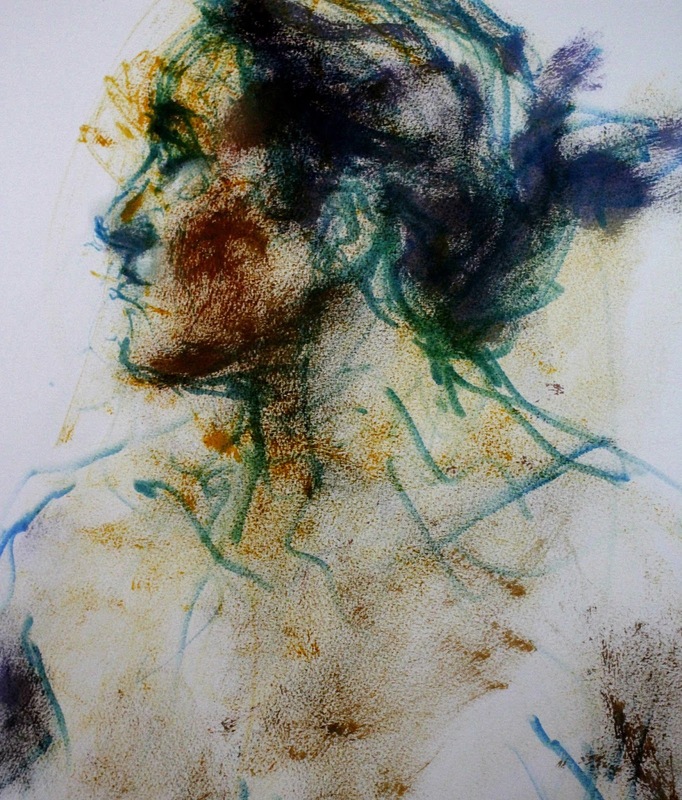 It can also be great fun and adventurous when the conventions of the discipline are re-interpreted or discarded or when the artist ‘just lets go’ of pre-conceived ideas of what a drawing might be. 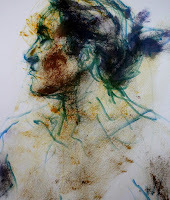 At Newcastle Art Space drawing from life is the focus with an exhibition highlighting the works of artists from three drawing experiences. Gallery 1 Drawn Upstairs V shows work from Peter Lankas’ Newcastle Community Arts Centre (NCAC) and Ann Caddey’s Drawing Room artists. The Drawing Room Group currently meet at the Royal Exchange Hotel in Bolton Street Newcastle to draw and share a glass of wine in a relaxed environment. 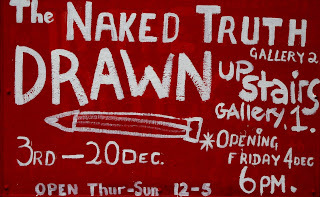 In Gallery 2 The Naked Truth #2 works are on display from the Thursday morning life drawing group at NCAC. This morning group allows intermediate or advanced students to work from a live model, without a tutor, share the experience with like-minded creatives and pay a fee of only $10.00 per class. All groups then share an exhibition space to demonstrate and validate their practice and development of ideas and skill. The range of techniques and styles always makes this an exciting annual exhibition. There are beautiful accomplished works, dramatic impressions, quirky interpretations and joyful playful ideas. This is a must – see art experience. Official opening night is Friday 4th December from 6pm. 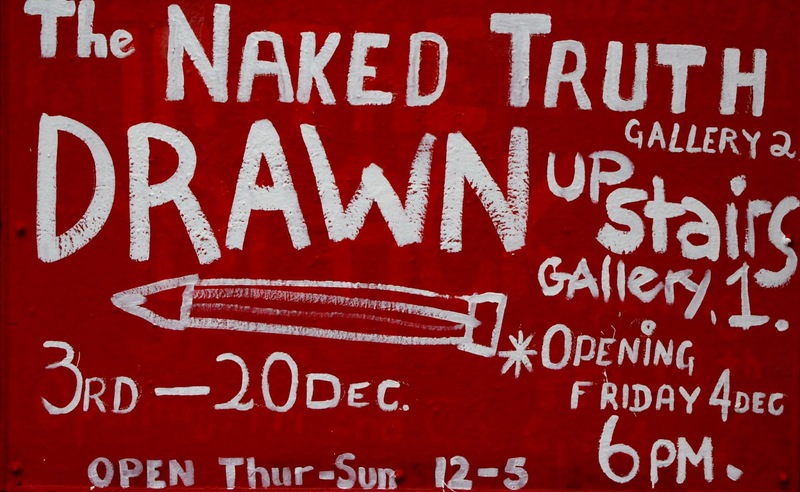 The exhibition runs from Thursday 3rd to Sunday 20th December and is the final exhibition for 2015. Next year promises to be an exciting one for NAS Gallery and one full of possibilities. The appointment of new directors and committee members will allow NAS to further define and/or redefine its role and position within the local art landscape. Thank you Ahn Wells for undertaking the director role with such enthusiasm and optimism, and for setting up future ventures and opportunities. A thank you also to all previous directors and committee members who have all contributed to the success of NAS. Ahn will be continuing her relationship with NAS as a mentor. Exciting times ahead for 2016.